The Superior 100, 50 and 26.2 mile trail races are held on the Superior Hiking Trail. The Superior Hiking Trail is a well established and well-marked hiking trail that is easily navigated if you pay attention, look for signage and read said signage. Each year 10’s of thousands of trail-users use these markings to successfully navigate the trail; on day hikes, trail runs, backpacking trips and thru-hikes – both during the day and night, every month of the year – running a 100, 50 or 26.2 mile race should not be much different. We ask that you take responsibility for your own race, have a fundamental understanding of where you are going, how the trail is marked and what to look for – the information on this page will help further your understanding. 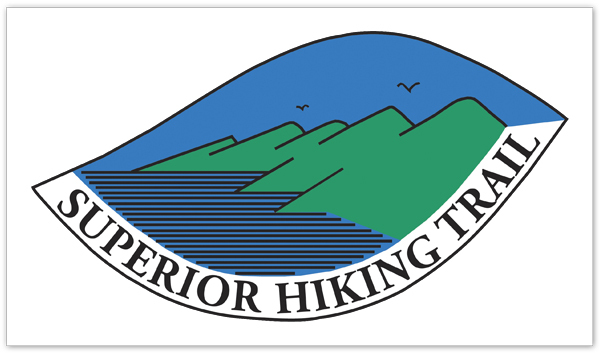 You will generally be running North / Northeast on the Superior Hiking Trail, following Superior Hiking Trail Signage in addition to supplemental flagging provided by the race which is primarily put in place for night time navigation of the trail. An excellent landmark is Lake Superior, it should always be on your right-hand-side. 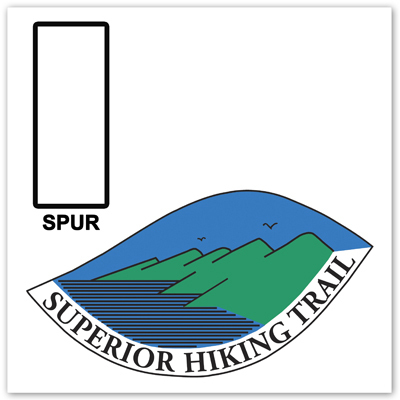 The Superior Hiking Trail is permanently marked with plastic, rectangular “Superior Hiking Trail” signs and also with painted, vertical-rectangular “blue blazes”. 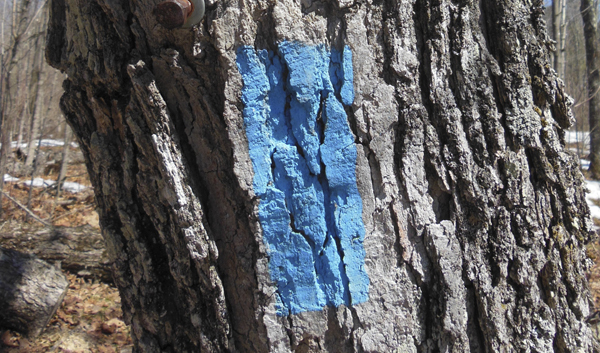 Signage and blazes are affixed or painted onto trees at varying intervals depending on several factors such as; number of intersecting trials, popularity of the trail section, whether or not the section is within a state park or on private land etc. Generally, you will see one of these signs every 1/8 to 1/4 mile. *SPUR Trail Sign, DO NOT FOLLOW THESE SIGNS EXCEPT for Split Rock Aid Station, Finland Aid Station, Sonju Lake Road Aid Station, Lutsen / Caribou Highlands / Race Finish – these locations will be clearly marked with supplemental signage put in place by the race organization. 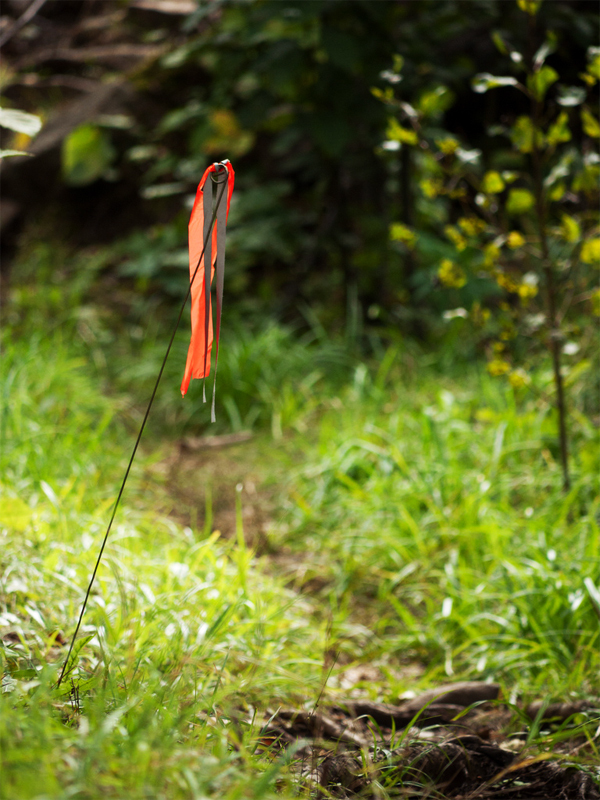 In addition to the Superior Hiking Trail Signage described and pictured above, we will provide supplemental markers on the trail primarily to assist with night-time navigation, these are survey-type wire flags stuck in the ground and have fluorescent and reflective ribbon. 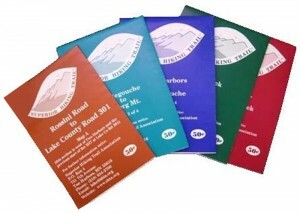 These flags will always be placed on the left hand side of the trail except in instances of two-way traffic (on the Spur trails referenced above), in this case they will be placed on both sides of the trail – upon exiting two-way traffic, the markers will again be on the left hand side of the trial only. Generally these markers will be placed at and beyond critical intersections and will be between 1/8 and 1/4 mile apart. Pictured Above: Fluorescent Orange / Reflective Superior 100, 50 & 26.2 Course Marker placed on the left hand side of the trail. It is very unfortunate and not unheard of at many of the major trail races around the country that course vandalism has occurred and flagging has been intentionally moved or removed by small-minded individuals – this is why it is important that you study the course prior to running and have a concept of where you are going , always remember (as illustrated above), that you are supposed to be on the Superior Hiking Trail (except in those specific instances listed) and tens of thousands of people navigate this trail from point to point each year without additional markings and without incident.